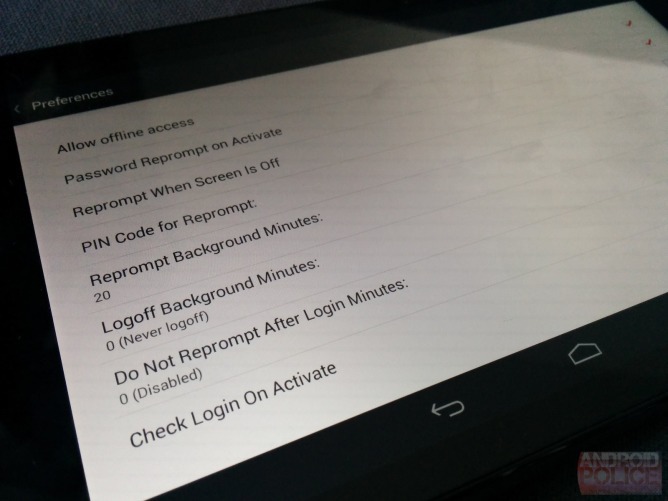 Version 3.3 of LastPass has hit Android devices, and it's delivering a couple of nice things to users. Shared folder management snags the top spot on the ol' change log. Now I hear you, "LastPass isn't a cloud storage provider, so why do I need to share folders?" These aren't for storing files in the traditional sense. Instead, they provide a place for people to securely exchange sites and notes with others. This update works with Shared Family Folders and LastPass Enterprise. This update also introduces a new setting that re-prompts immediately after the screen is locked. There's also the option to use a Synaptics fingerprint scanner on phones that have them. The rest of the change log deals with enhancements and bug fixes. Here's the list for you to peruse while the update's still fresh. New: Folder sharing and management, including support for the Shared Family Folder and LastPass Enterprise. New: Option to reprompt immediately after screen lock. New: Support Synaptics fingerprint readers on new phones. Updated: Reduced network data usage. Updated: Reduced memory usage when app fill is enabled. Updated: Improved error handling and notification. Updated: Prompt before opening downloaded file.